Performance fabrics in furnishings are like performance fabrics your wardrobe - they work hard to maintain use, keep you comfortable and stay looking great. Why wouldn’t you want to count on the same sustainability with your furniture too? Real life is full of dirty feet, coffee spills, shedding pets and sticky fingers. Performance fabrics provide comfort, convenient easy-care and look as casual or formal as you like. They work hard: they breathe, repel water, resist stains, are easy to clean and offer durability. Plus they have color fastness to stand the test of time. Performance fabrics help you maintain your lifestyle. 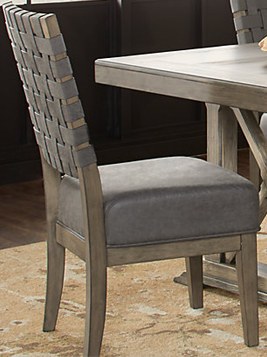 For families, homes with pets and busy schedules, performance fabrics are ideal options for upholstered furniture. There are many possibilities for sofas, sectionals, chairs, ottomans, upholstered benches and even accent pillows. Leather is a resilient choice, known for its durability, holding up well to frequent use. However, leather is more expensive than most manmade performance fabrics and less resistant to water and moisture. Microfiber is an extremely affordable and soft option. Embossed Microfiber has depth and texture that is similar to leather. Brushed Microfiber (Microsuede) emulates suede but is far easier to care for, maintaining its fresh look even when used daily. There is no place in your home more apt to encounter stains and spills than where you eat. 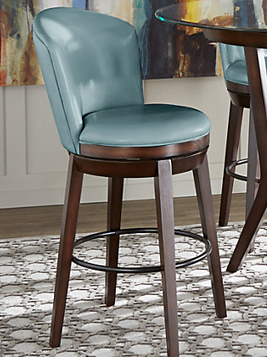 Dining room chairs and counter height stools with Microfiber or Microsuede offer comfortable padded seating that will repel stains and spills. Additionally, these fabrics are soft to the touch and breathable. 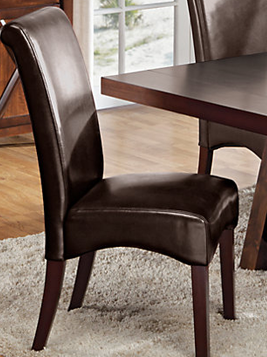 Leather is another good option that can make even the most formal dining room care-free enough for everyday use. Faux leather or vinyl are spill and stain resistant but might stiffen and crack over time, making them less sustainable fabric choices than Microfiber or leather. Mattress – New innovations in mattresses bring added comfort to your sleep experience. In addition to memory foams for confirmative support, Bedgear mattresses use moisture wicking fabric and mesh border panels for breathability and airflow to keep you cool and comfortable while you sleep. 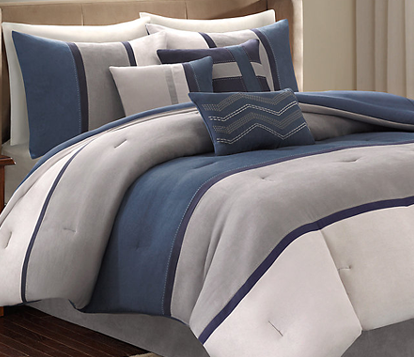 Bedding – Coverlets, comforters and Shams made of Microfiber or Microsuede are incredibly soft to the touch, yet stain and moisture resistant. Plus, because they are made of 100% polyester, they can be laundered at home and will maintain their shape and color for years. If you are looking for even stronger stain resistance, try options with ScotchGuard treatment. Upholstery – Microsuede or embossed Microfiber are great options for an upholstered bed because they are easy to clean, maintain color and shape over time and provide the same smooth luxurious look and feel of suede or leather. Indoor/outdoor rugs made from polypropylene (olefin) hold up to foot traffic due to the fabric's water, mold and mildew resistance. Spots and stains wash out easily and they are designed to hold their color even in the sun. These fabrics are more often used for woven rugs rather than pile rugs. For a deeper pile option indoors, look for polyester or nylon rugs which retain their vibrancy over time and resist staining and are easy to care for. Wool rugs are the most natural option and are known to be durable and long-lived. However, because wool is extremely absorbent, it can stain easily and requires more delicate care.